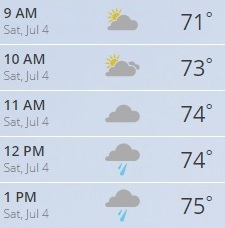 Our annual 4th of July parade will take place rain or shine. 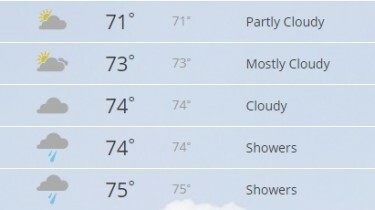 The current forecast shows no rain till after the parade is complete. The street fair following the parade will also continue rain or shine.